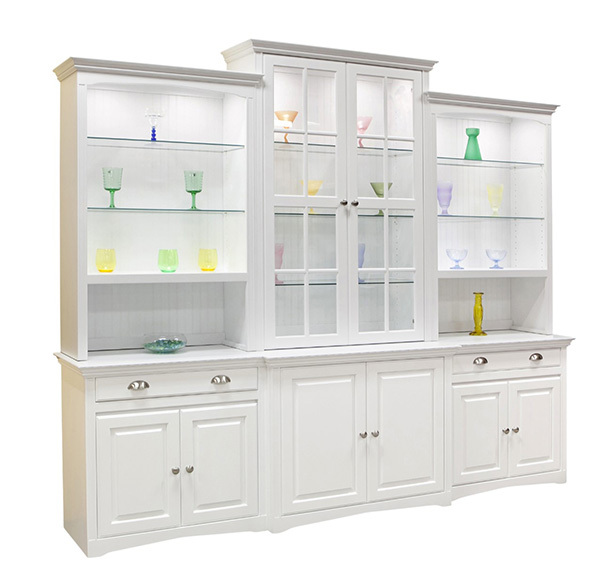 Custom wall unit built to suit: choose your size, doors, molding, hardwood, wood type, finish and more. Available in Maple (shown) or Oak with your choice of trim: federal, federal crown, face frame crown, face frame, regal (shown), or shaker. Available unfinished, custom finished for factory finished. Contact store for details.